You’d have to cast your mind back to 2011 to remember the last mainline Spider-Man game to grace a PlayStation console. 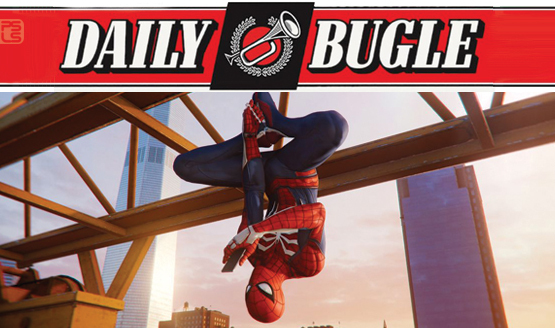 Sure, there have been movie tie-ins for The Amazing Spider-Man and mobile spinoffs in the vein of Total Mayhem and Unlimited, but this month’s PS4 exclusive heralds the triumphant return of Marvel’s greatest ever character. You could even call it a homecoming. Even now, the critics (including our own Chandler Wood) are raving about Marvel’s Spider-Man, its gorgeous open world, and those subtle little Easter eggs scattered throughout Manhattan. Some have even gone as far as to say that Insomniac’s sandbox represents the finest superhero game since Batman: Arkham Knight. It is high praise, indeed. It’s fair to say that everyone’s favorite Web-Head is riding the crest of a wave! In anticipation of September 7, 2018, we’ve scoured the four corners of the Internet (and the PSLS archives!) to present to you the 411 on Marvel’s Spider-Man–its gameplay, its combat, and its incredible roster of A-list villains. Marvel’s Spider-Man makes a beeline for PlayStation 4 this September 7th, and we simply can’t wait to see what Insomniac has in store for our friendly neighborhood Web-Head. There’s been talk that this PS4 exclusive could lead to an entire superhero universe spawning at Marvel Games, so the sky’s really the limit for Peter Parker.